Latvia is a very green country and people from southern countries are getting very excited by the vibrant colours of the nature here. During this day activity the participants shared their views regarding the beauty of nature and even made locals more aware of what they are surrounded by, because sometimes when you get caught on the daily routine you forget the smaller pleasures of life. 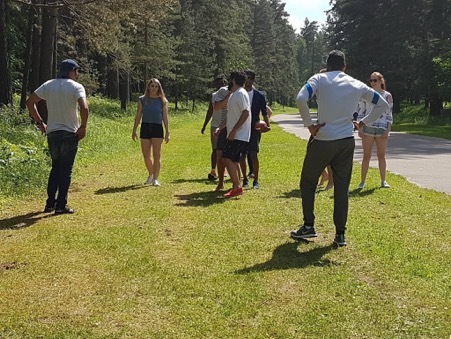 This international atmosphere in the open air followed up with some cricket playing game for intercultural enrichment.